What is employee engagement? Why is it important? And how do you get started? Definition: Employee engagement is the extent to which employees feel passionate about their job and workplace, are committed to the organization’s goals and values, and put discretionary effort into their work to impact organizational success. Let us help you dive in with this quick crash course. Whether you’re new to employee engagement and how to measure it or you need a basic resource to share with your colleagues (to convince them of the benefits of employee engagement), this guide offers a quick overview. 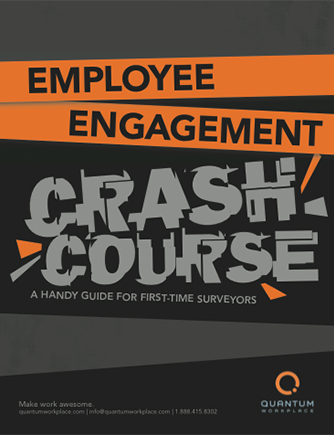 Share this resource with colleagues and team members who are new to employee engagement. It’s a great way to get started!